It's always fun to look for newts when we go on walks in the woods. We're always reading that amphibians are in mortal danger -- they're more susceptible to environmental toxins than other vertebrates, and they're dying off at frighteningly high rates. 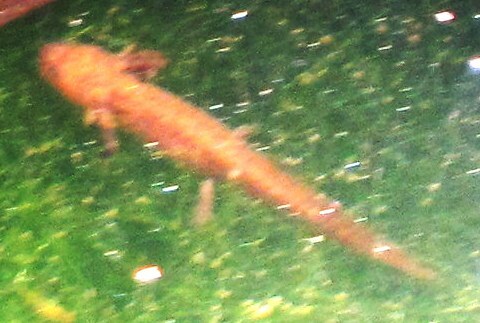 So seeing newts, salamanders or frogs always makes me happy ... and seeing a new generation of them makes me even happier. 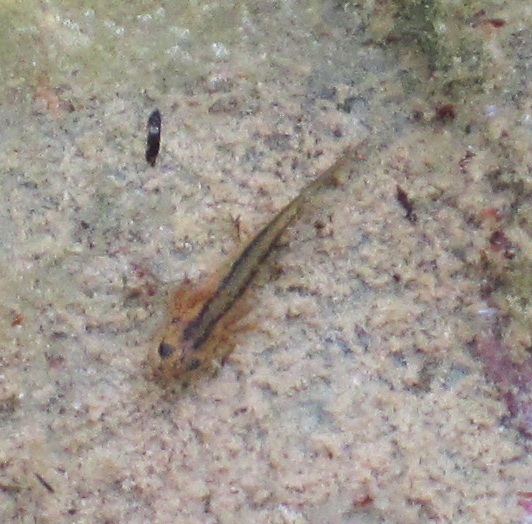 Therefore, in spring and early summer, I always check the ponds for tadpoles and newt larvae. Usually I don't find any. 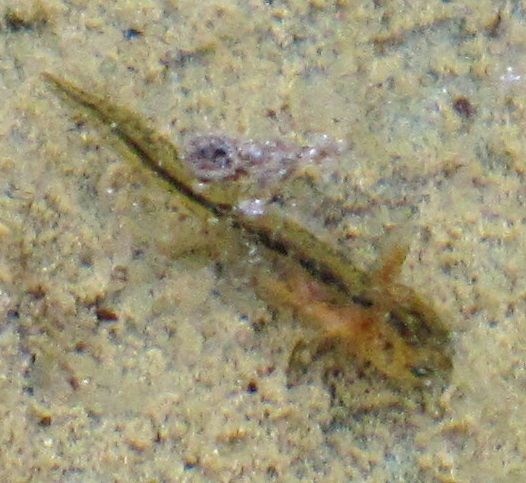 But this year I got lucky: the little decorative pond at Sanborn county park had newt tadpoles when we checked last month (June 18), and yesterday we saw one in that pond and two in the lower pond. So, okay, not exactly National Geographic material. 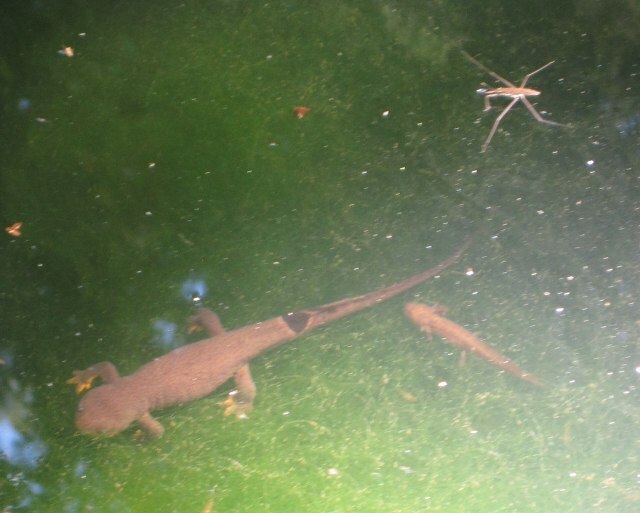 But I was excited to get any photos at all that show both legs and gills, as well as one showing an adult newt with a larva right next to it. 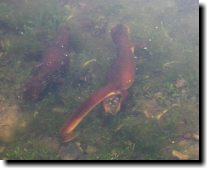 Coincidence, of course: newts don't care for their young. But it's fun to see the difference in size and shape between adult and youngster, and equally fun to see how much the larvae changed in three weeks' time from the first shots to the second.